Chhattisgarh : A naxal has been gunned down by security forces in Chhattisgarh's insurgency-hit Kondagaon district after an exchange of gunfire, said police. The face-off between naxals and security forces was reported from jungles near Chheri village last evening. A small party of forces comprising Chhattisgarh Armed Force (CAF) and local police was undertaking a search operation in the interiors of Bayanar, located around 300 kms away from here, yesterday. # One naxal has been gunned down by security forces in Chhattisgarh's insurgency-hit Kondagaon district. # CAF with local cops were on a search operation in the interiors of Bayanar, located around 300 kms away from Chhattisgarh. 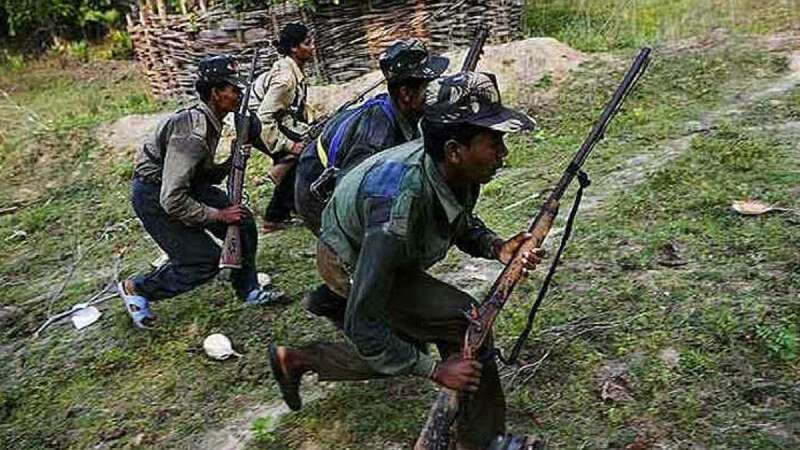 # Majority of maoists managed to make an escape from the site. # "The area could not be searched properly due to darkness, and prima facie it appears that more ultras were either injured or killed in the gunfight," SP said.